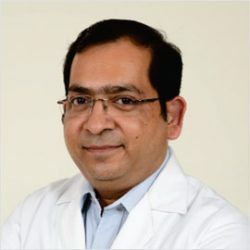 I am pleased to inform you that Dr. Anil Kumar Kansal, one of the most accomplished Neurosurgeons in the country, has recently joined our hospital as the Director- Neurosurgery & Head -Neuro Spine of BLK Centre for Neurosciences. Dr. Kansal has joined us from Fortis Hospital, Shalimar Bagh, New Delhi where he was the Director & HOD, Neurosurgery & Spine Surgery. Dr. Kansal has moved to BLK Super Speciality Hospital to further strengthen our strong and dedicated team of super specialists providing specialised Neurocare at the Hospital. Dr. Kansal’s academic credentials include MBBS, MS (General Surgery) and MCh. (Neurosurgery), from the prestigious King George’s Medical College, Lucknow. Dr. Kansal was previously associated with King George’s Medical College, Indraprastha Apollo Hospital, VIMHANS and Max Hospital, besides others. neuralgia and hemifacial spasm, just to mention a few. BLK Centre of Neurosciences is one of the few comprehensive neurosciences centres in the country where Neurologists, Neurosurgeons, Neuro-oncologists, Neuro-anaesthetists and Neuro-critical specialists work cohesively to provide world-class treatment and services all under one roof. The centre has sub-specialised units offering treatment which are delivered with the help of most advanced techniques for complex neurological diseases, well-supported by internationally trained medical experts. We wholeheartedly welcome the new synergy that has been set in motion with Dr. Kansal on board, as we continue our journey to provide the best possible medical care in the country.